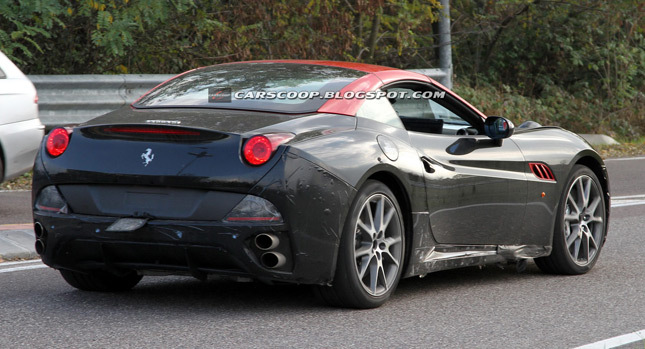 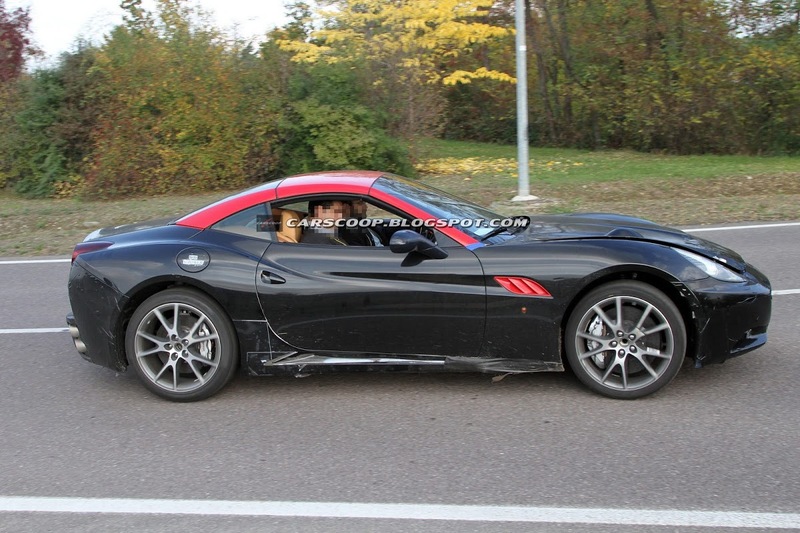 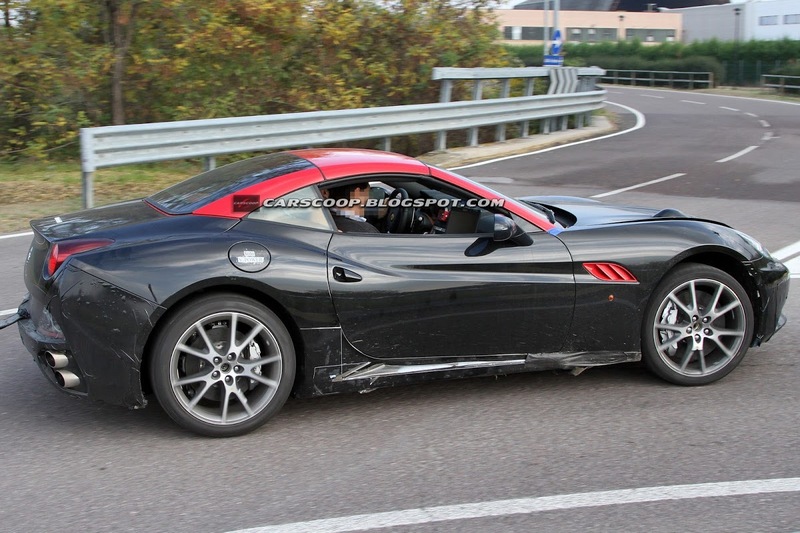 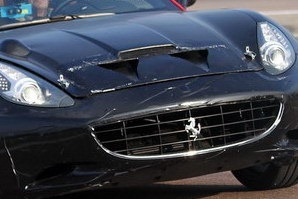 Ferrari California Replacement to get Turbocharged V6 and/or V8 Engines? 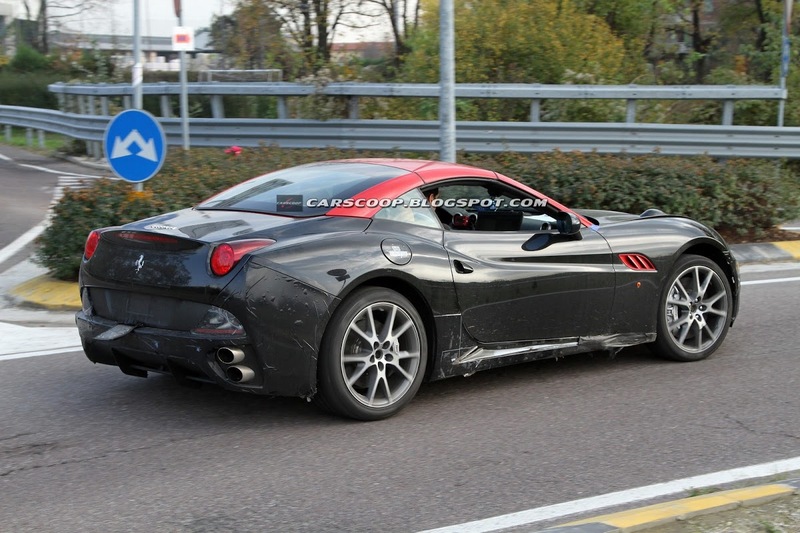 In November 2011, we scooped a Ferrari California prototype with larger wheels and two triangular air intakes on its hood doing the rounds at the company’s test track in Italy. 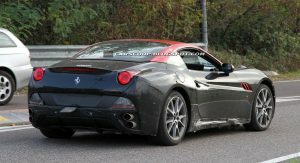 At the time, we figured it could be a hotter version that would be introduced with the model’s 2012 update. 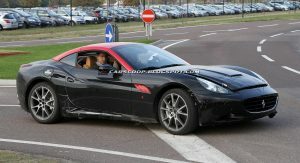 While the California was indeed updated in key areas, there was no hotter variant in sight at its Geneva Motor Show debut. 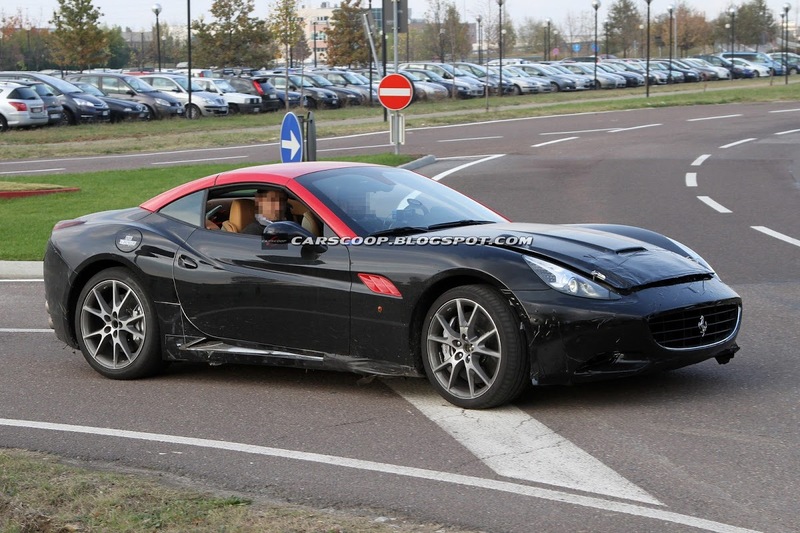 Then, last summer, another “baby Ferrari” mule was caught, this time on film. 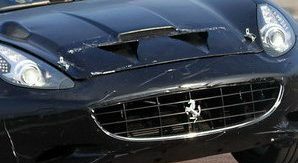 The inlets were absent but the hood was visibly positioned higher and, more importantly, the distinctive hissing of turbochargers betrayed that there was something unusual hiding underneath. 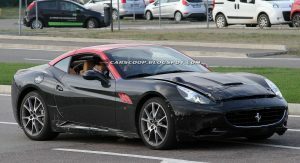 British publication Autocar is now suggesting that the California replacement, which is due sometime in late 2014 or early 2015, will most likely get a turbocharged engine. 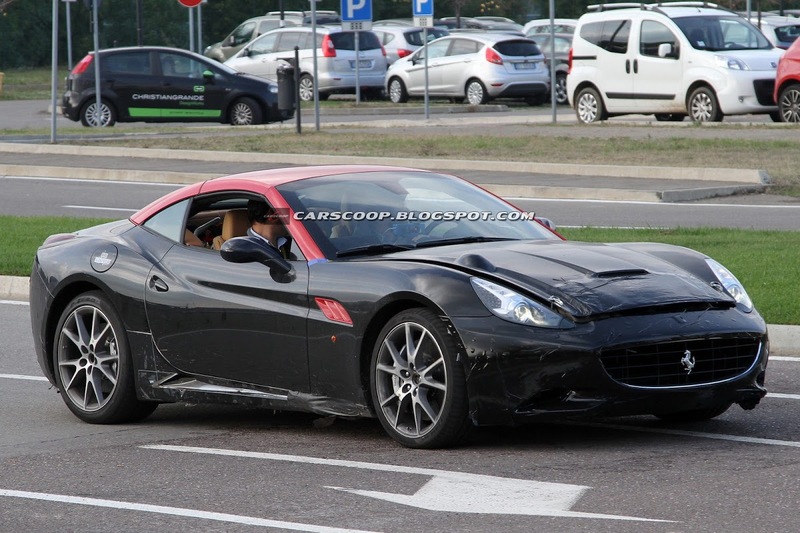 Despite all new Ferrari models’ engines being naturally aspirated, Maranello currently manufactures two twin-turbocharged engines in 3.0-liter V6 and 3.8-liter V8 forms for the sixth-generation Maserati Quattroporte. 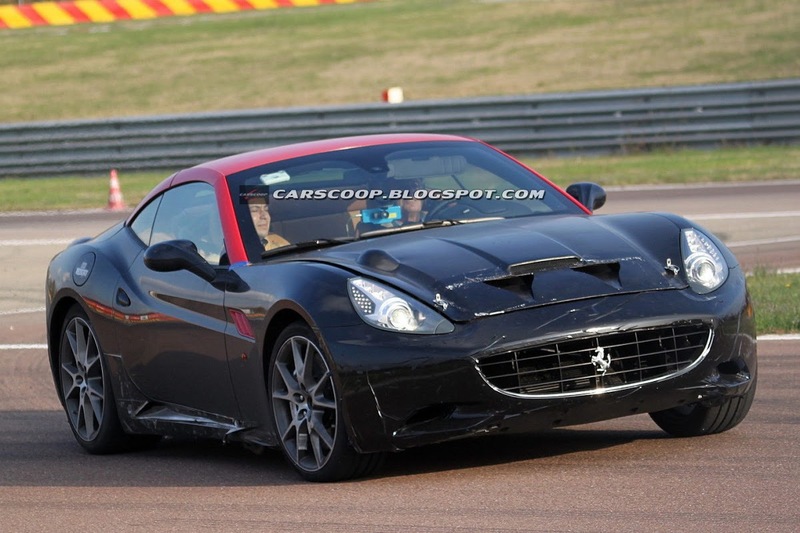 The revamped California’s 4.3-liter V8 puts out 490HP and 373 lb-ft (505Nm). 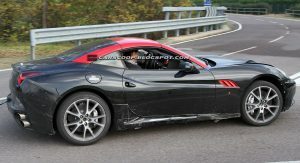 The force-fed V8 used in the Maserati easily bests it thanks to its 523HP (530PS) and 524 lb-ft (710Nm) of torque, while even the 3.0-liter V6, while losing on outright power (404HP), has it licked in terms of torque, with 406 lb-ft (550Nm). 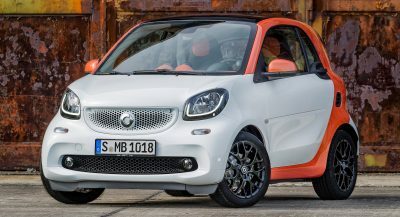 Apart from the cars that we’ve scooped, the facts point to the California replacement switching to turbocharging. 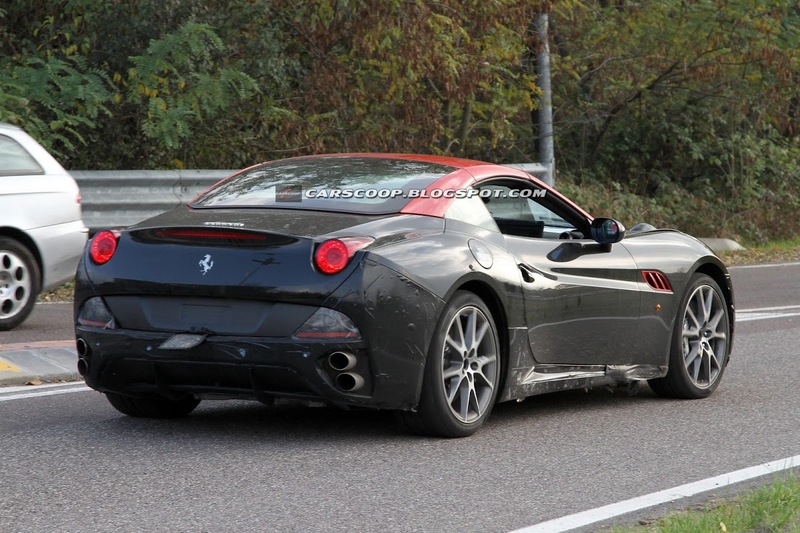 For starters, it makes no sense to develop a new engine range for just one model. 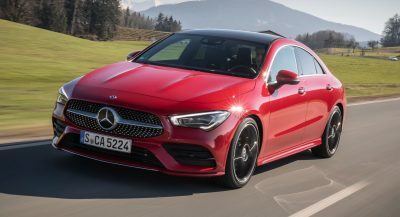 Downsizing and turbocharging would also make it much easier to increase the performance and simultaneously lower fuel consumption and CO2 emissions. 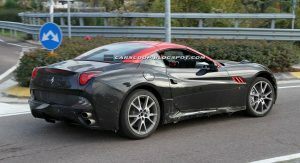 Moreover, from 2014, Formula 1 switches to a turbocharged V6 engine formula and Ferrari prides itself for transferring F1 technology to its road cars. 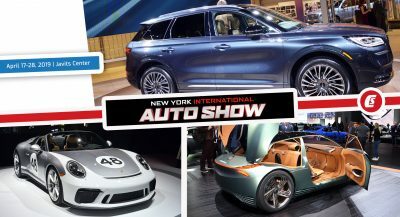 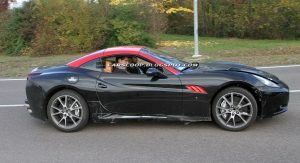 You can view the image gallery and a video of what could be a turbocharged California prototype right after the break.